Aunt Millie’s Buns, lol. I know it sounds a little dirty, but these buns, I mean bread buns are awesome addition to your homemade hot dogs. Use them for bar-b-ques, get together’s or other fun food related events and parties. 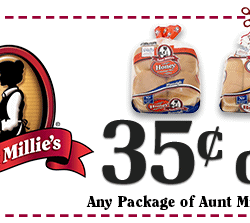 As long as you’ve got hot dog’s get these buns and save some money using this printable coupon. 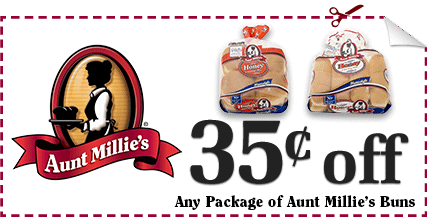 With this Aunt Millies Buns Coupon you can get $0.35 off any package of Aunt Millies Buns! So print off your free coupon now!